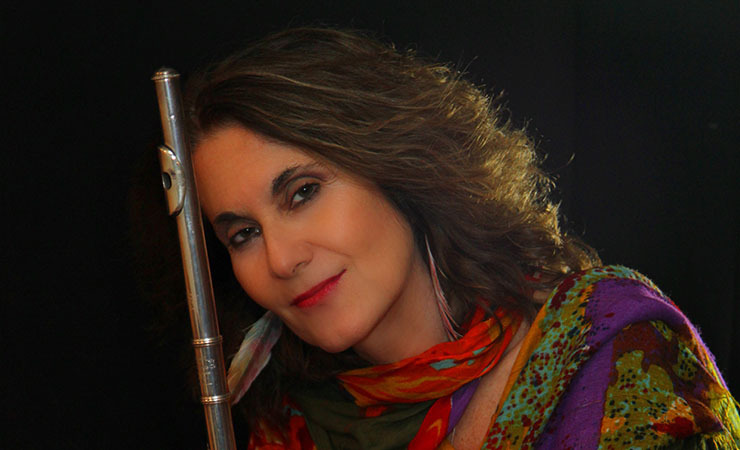 Flutist, composer, arranger, producer, educator, business owner, Andrea Brachfeld, is a graduate of The High School of Music and Art and the Manhattan School of Music. Study with Hubert Laws, Jimmy Heath, George Coleman, and Mike Longo helped her develop her own improvisational style. Since she began her professional career as a musician at age 16, she has recorded and played many different genres of music including funk, Country Western, Charanga, Salsa, Latin Jazz, devotional music and more recently, Jazz. 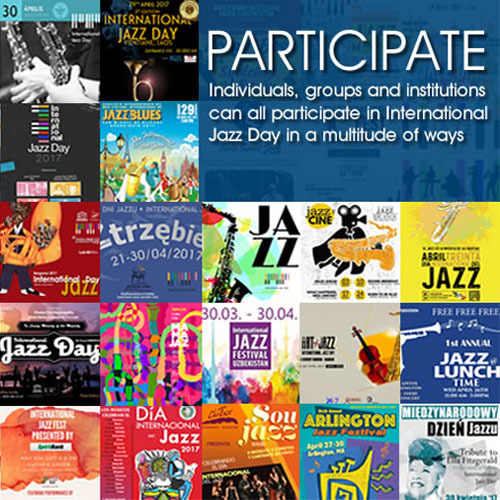 Some of the many artists she has associated with include Wayne Wallace, Bobby Carcassés, Oscar Hernandez, Alfredo de la Fe, Ralph Irrizarry, Tito Puente, Ray Barretto, Joe Newman, Hubert Laws, Nestor Torres, Dave Valentín, Paquito D’Rivera, Kenwood Dennard, Hilton Ruiz, Steve Turre, Wycliffe Gordon and Wallace Roney among many others. Her breakthrough performance as the flutist for the popular Latin band Charanga ’76, catapulted her into Salsa history and fame as the first female flutist to play this music in the United States. As a high school student, she received the “Louis Armstrong Award for Outstanding Student” from Jazz Interactions, an organization created by Joe and Rigmor Newman. Downbeat magazine referred to Andrea as “one of the finest jazz flutists around.” She has twice been the recipient of the Latin New York Music Award as a flutist. She received the Chico O’Farrill Lifetime Achievement Award from Latin Jazz USA in Oct. 2006 and the “Pionero Award” in 2010 for her contribution to Latin music. Her most recent award, “Tribute to the Charanga Flutes,” given by Charanga Legends USA, was presented to her in August of 2012. While in Venezuela, having been contracted by music impressario, Renato Capriles, she had the honor of opening for Chick Corea and Paco de Lucia with her first Latin Jazz band in 1982. Her first Latin Jazz CD, “Remembered Dreams” combines original music in the jazz style with Latin rhythms. Her second CD, “Back With Sweet Passion”, is a dynamic Charanga Jazz recording featuring Grammy winner Oscar Hernandez on piano and Alfredo De La Fey on violin. Her third CD “Beyond Standards”, a collaborative effort with Chembo Corniel, features jazz greats Hilton Ruiz on piano, Steve Turre on trombone, and Pedrito Martinez on vocals. She has appeared with the Winnipeg Jazz Orchestra as a soloist performing her own compositions as well as those of Mike Longo, longtime musical director for Dizzy Gillespie. Her most recent Latin Jazz CD, “Into the World: A Musical Offering” features guest artists Mike Longo, Paul West and Brian Lynch. Her latest CD, which is her first straight-ahead Jazz CD named “Lady of the Island”, was released in October of 2012 by ZOHO music featuring Wallace Roney, Wycliffe Gordon, and Bill O’Connell, longtime musical director for Dave Valentín. He also produced the record as well as wrote the arrangements. Andrea has traveled to Cuba a number of times to perform at the Havana Jazz Festival and most recently traveled to Croatia to teach masterclasses about Jazz and to perform. She’s also an integral part of the Wallace Roney,”Universe” Orchestra playing Wayne Shorter’s long lost music originally written for Miles Davis. In September of 2015 she was awarded the “Best Jazz Flutist “ from Hot House Magazine. “Lotus Blossom,” was released on Jazzheads in October of 2015 featuring Bill O’ Connell. Rufus Reid, Winard Harper, Wycliffe Gordon, Chembo Corniel, and Nancy Harms. The music is a combination of standards and original music. Andrea currently tour with her own group, Andrea Brachfeld and Insight featuring Bill O’ Connell, Harvie S and Jason Tiemann, the Wallace Roney “Universe” Orchestra and The Bill O’ Connell Quartet / Dave Valentin Tribute Band featuring Lincoln Goines and Robby Ameen. They recently came back from a tour in Japan playing at the Cotton Club. In June 2017, Andrea was awarded a grant from the prestigious organization, Chamber Music America and the Doris Duke Charitable Foundation, to compose a new jazz work. Her new CD, “If Not Now, When? ” which will be released on Jazzheads in May of 2018, reflects this new music. Founder, Editor, Webmaster: Latin Jazz Network, World Music Report, Toronto Music Report. A passionate and committed communicator with a sensibility for the arts based in Toronto, Canada.